Your wish is granted peasant! Spent all your money buying stuff you don’t need to impress people you don’t like and, now stuck with a painfully useless (un)smartphone ? Well, worry not fellow peasant, the budget phones in this list would not only fulfill your meager expectations but would exceed them quite handily. Gone are the days when mediocre smartphones ruled this price range. Back then, if you had a budget smartphone, the constant jerks and janks in the immature OS powering your device which you would barely be able to use for half a day because of terrible battery life would constantly torture you and remind you of your poverty. Cheap was synonymous with mediocre. The smartphones of today are different. They offer exceptional value for the price with their processing capabilities being more than enough to power polished operating systems, bigger batteries , competent cameras ,much better screens and sufficient sensors for the basic functions of a smartphone too have aided the overall user experience. This year has seen the budget smartphone space expand in sheer size and quality. The bar of price for getting a good Android phone is getting pushed lower and lower each year and this year is no exception. Xiaomi’s latest iteration of the Redmi Note series of smartphones may be described as bezel-less beauty at a budget price. With its glass and metal build, gorgeous 18:9 display and 4000mAh battery mated with a power efficient but reasonably powerful and modern Qualcomm Snapdragon 625, Redmi Note 5 promises to be as close to perfect as you can get in this price bracket. The Note 5 mayn’t have the best camera in the price range but apart from that there really isn’t any other smartphone which comes close to the value Redmi Note 5 offers at this price point. However, with the screen as big as it is, drops might be more likely to be fatal. The 18:9 display offers good grip but the tall display makes it difficult to reach the top half of the phone. Xiaomi Redmi Note 4 was a steal last year and the Note 4 remains a steal today. The metallic body and 2.5D glass screen of this phone are still very much in vogue . Even though the 16:9 aspect ratio for screen has become quite unfashionable by industry standards in phones above ₹10,000 , the reduced price of Redmi Note 4 makes up for this deficiency. The camera is competent and the processor- even though old , still remains quite relevant today as processors during the course of 2017-18 didn’t get much powerful but became more efficient. The Xiaomi Redmi Note 4 is a textbook example of an excellent phone at release aging well. 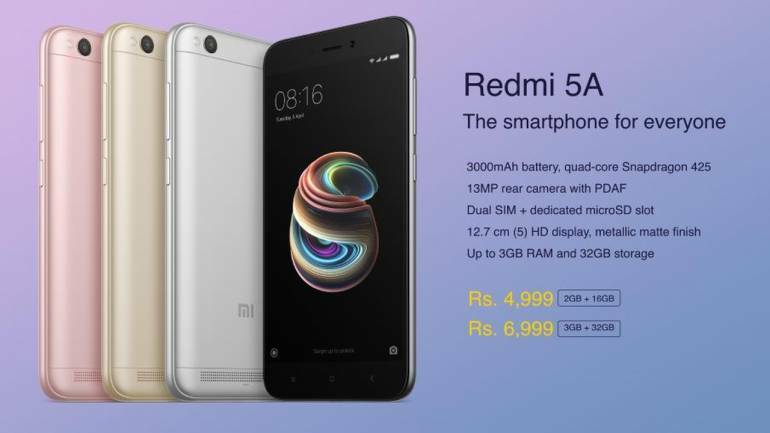 The new Redmi Note 5 isn’t all that much better in terms of processing power than the Redmi Note 4 and the Redmi Note 4 has gotten cheaper too owing to the release of its successor. Xiaomi’s Redmi 5A is a steal at this price point. Redmi 5A offers a 5-inch IPS HD screen which has a wide range of viewing anglesand also has decent outdoor visibility along with the Qualcomm Snapdragon 425 which at this price point is the best SoC available in the market. Moreover, the back and front cameras are quite decent, battery life is excellent, the basic sensors are all here and all of it is enclosed in an aluminium-glass body. 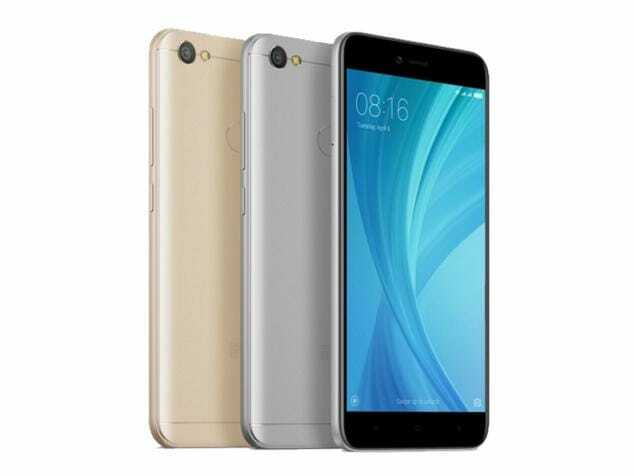 There are no obvious trade-offs with the Xiaomi’s Redmi 5A. Xiaomi has created what can only be called as the budget smartphone king in the Redmi 5A. You probably would have trouble believing Huawei is currently the 3rd biggest smartphone seller in the world after Apple and Samsung. Third biggest…Let that sink in for a moment. The smartphone market is swamped with manufacturers and has a huge customer base. However, holding the Huawei Honor 8 Smart and using it will make you understand the trust and loyalty put on Huawei by its customers. With a thin and understated aluminium-glass construction, Honor 8 Smart mayn’t grab the attentions of passers-by who happen to glance at it. A powerful modern processor, competent GPU in the form of Mali T830MP2, a vibrant 5.2 inches full HD display and an above average camera at this price point make for a compelling package.However, the OS (EMUI) lets it down. EMUI isn’t elegant, good looking or consistent and the sheer heft of it makes the Honor 8 Smart struggle when under heavy load. If you love taking selfies and are displeased by the lackluster selfies produced by the front phone cameras of most phones then Xiaomi Redmi Y1 is the phone for you. The front camera of Redmi Y1 blows almost all other phones in this, and above this price bracket out of water. As a matter of fact, even if you don’t like taking selfies, Redmi Y1 still offers great value for money. The aluminium glass construction encases a competent SoC in the form of Snapdragon 435.The back camera too offers decent picture quality for a phone of this price range and the battery life is excellent. However, It’s not all hunky dory as the screen is a dismal 720p HD affair on a 5.5 inch display. This results in a sub 300ppi pixel density which is unacceptably at this price range. Moreover, the display size itself might be uncomfortable to use for some people. All things considered, you should go for it if you are in the market for a smartphone with good selfie capabilities. The original Moto g became the most sold Motorola phone ever-which is quite impressive once you consider the company’s rich history. The Moto G5 builds on this legacy with a version of Android that is close to stock, quick and reliable. Moreover, the additional software installed by Motorola enhance the user experience. They add innovative features to key areas of Android like Moto display(like ambient display, but interactive and more feature packed). 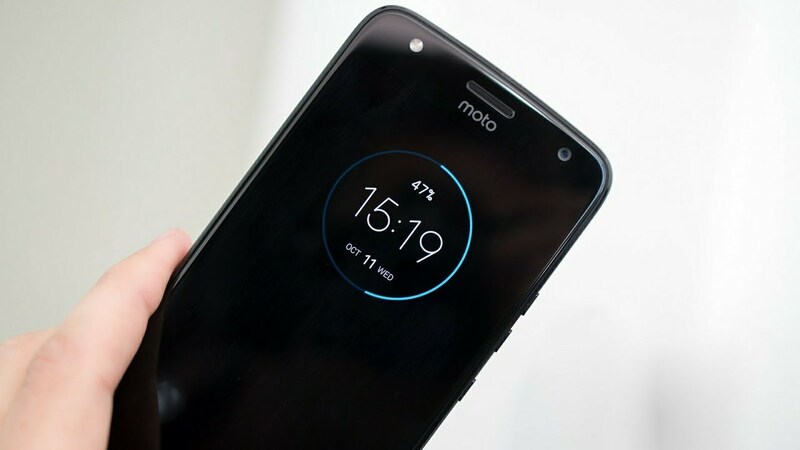 Motorola has also implemented intelligent gestures like double chop to switch on flash, twist the wrist to open the camera app and using the single fingerprint scanner in front for navigation through Android instead of the on screen buttons. On the hardware side, the Moto G5 counts aluminium, glass and plastic as it’s building materials. This has been combined well to create a light and sturdy body. Making the Moto G5 tick is a snapdragon 430 which is a competent processor for day to day tasks. Complementing this package is a 13 MP back camera offering decent picture quality.Motorola also promises the Android 8.0 Oreo update for Moto G5.